God, my God, sometimes it is your will to bring your people to a dry land. Sometimes coming to the desert means passing through trials, other times it means that we feel as if You were distant and we were forsaken. What to do Lord, in times like this? What to do when the heat is burning, the mind can't think clearly, the heart is weary and the eyes can't see clearly? What to do when You seem afar? Should we hide ourselves under a rock in the desert, and just wait with the face hidden between the hands until the fiery sand storm passes by? David was there, in the desert, running away to save his life. He was weary in a land where his thirst couldn't be satisfied but there, in that desolate place he called on you. In the desert he lifted up his eyes and looked upon you in your Sanctuary and saw your power and glory. Jesus was also brought by Your Spirit to the desert, no water touched his lips for forty days, and yet in the driest land, where the devil met him and tempted him, He found strength and vigor in your Word. You alone satisfied Him. Father, I don't ask that you won't take me to desert. 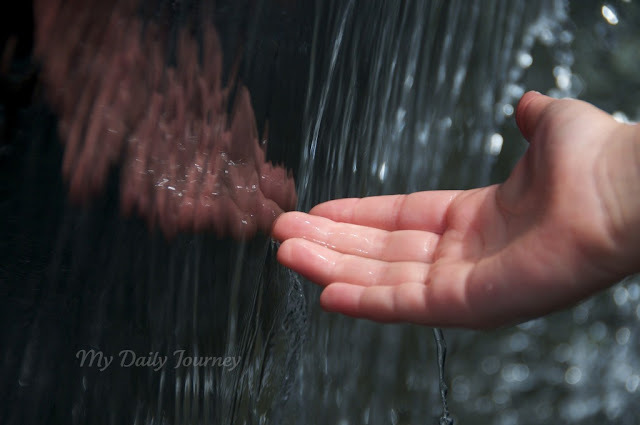 I just pray that when you take me there, I will call upon Your Name, I will thirst for You; that my flesh won't fall into sin seeking to be satisfied with any other thing rather than You and your Word. God, don't ever let me forget that your steadfast love is better than life. Better that breathing, better than all the beautiful moments I might live; better that the best gift it has pleased you to give me. Better than a song in the night, and times of prosperity. Better than all the kingdoms of this world, better than all those things that promise me satisfaction but draw me far away from You. Even when the winds blow hard against me, when the sand storm won't let me open my eyes, I ask you, God, my God, lift my head and let me see your power and glory. Even when my eyes are cracking from lack of water and my mouth doesn't find a way to pronounce a word because its dry, even then, let me sing your praise. Lord, I will bless you as long as I live. I will, not because of my will power; not because I try hard, but because You have promised that nothing, not even the most dreadful deserts will be able to separate me from your perfect Love. Thank you for hope, thank you because You don't keep your people forever in the desert land. You always bring us to a time of feasting and rejoicing; a time when our soul eats at your table and is always satisfied. Thank you because you always provide times when our lips can't contain your praises. When joy overflows, and gladness is our companion. Night comes, always. A gift from Your hand that we may rest and think, and meditate on your Word and in all we have said and done. Night is a gift from you always. In the times of desolation as well as in the times of prosperity, night comes and we come to our bed and You are there. And no matter, Lord, in which season of my life I am in the night, I always see how You have been my constant help. How you have kept me and my children in the shadow of your wings. I cling to you, my God. I cling to you as much as a woman clings to her man; as much as much as a the baby to her nursing Mom. I cling to you in the desert and in the land in which honey and milk overflows. In both places I need you or I die. Uphold me with Your right hand. Sustain me when I am weak, hold me tight when I am fainting. Hold me with Your mighty hand when temptation comes, when the devil tempts me. Give me victory and fill my mouth with your praises, that I may rejoice in You and be satisfied in You alone, my God and King.